Find the right tour for you through Natchez. We've got 21 tours going to Natchez, starting from just 9 days in length, and the longest tour is 29 days. The most popular month to go is September, which has the most number of tour departures. "Our tour guide Don. He was helpful informative and considerate! Many thanks to Don..."
"Good trip! Great venue! Lots to do. Well looked after. 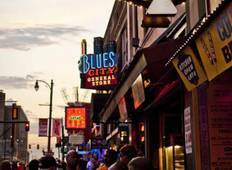 Disappointed in Nashville..."
"The Old South and Florida tour was great. 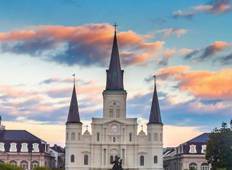 Very well organised, good itinerary and..."
"Well run and a lovely group of people"
"The Luxury Gold Sumptuous Soul of America was without any hesitation the holiday..."
"Fantastic opportunity to tour the 'deep south' from big cities like New Orleans and..."